Lawsuit Against DWR Moves Along! Home » News » Local News » Lawsuit Against DWR Moves Along! The lawsuit against the State Department of Water Resources charging them with negligence causing the spillway washout at Oroville Dam two years ago yesterday and causing evacuations of 188 thousand people, has received a series of allegations of dishonesty, stealing of equipment, sexual and racial harassment, and financial manipulation to conceal wrong doing. The suit has been filled by the city of Oroville, several farmers and businesses seeking millions of dollars in damages. 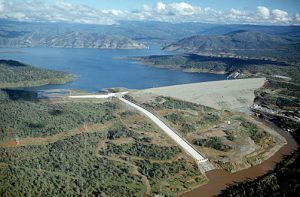 State attorneys deny the allegations and call them irrelevant to the heart of the suit which is: was the DWR negligent in managing the Oroville dam and its maintenance of the spillway? The allegations part of the suit will go before Superior Court Judge James McFetridge next week in response to the state attorney’s request to toss out the allegations. There are several cases of harassment and other personnel matters that have been heard and settled in the past. The trial for the negligence case is set for June 2020.